I'm having a problem with connecting my Omron CPM1 PLC with KEPServerEX5. 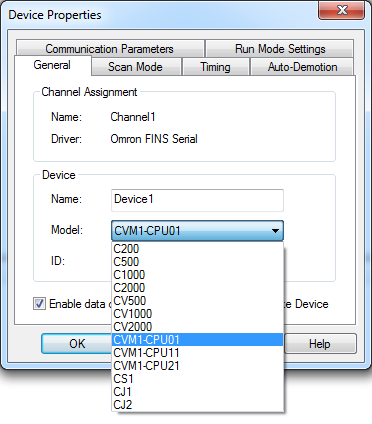 Even if i choose the CVM1 (that has simular TAG-addresses as the CPM1) I can't get any connection because it requires an ID with the following format (UU.AAA.NNN.) and I have no idea where to get this. 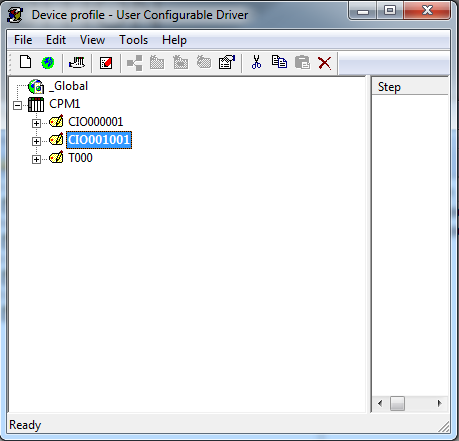 I also tried to using the U-CON (user-configurable) driver, but I can't figure out how to get this working. I checked the serial port settings and they are correct. The only thing I'm not sure about is the device ID, but I tried 0 until 5 and I don't think it could be any higher than that. I'm hoping any of you guys is experienced with making a serial connection to KEPWare and is able to help me with this problem. Check to see if there is a Host Link or Sysmac Way driver? Other option would be to try the C200 version of the FINS Driver. C200 would be pretty close to the CPM1. Thank you very much I tried the Host link driver with the C200 PLC and it worked.